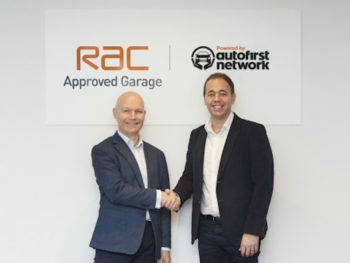 Formed from existing RAC Approved Garages and Autofirst Network members, and open to new sign-ups, the ‘RAC Approved Garages powered by Autofirst Network’ scheme has 500 garages on its books already and is expected to exceed 650 by April this year. The partnership is intended to provide drivers with all the benefits of a local garage, combined with all the trust and confidence associated with the RAC brand. Meanwhile garages signing up to the network will benefit through repair work via the RAC Warranty scheme, as well as repairs referred to them by RAC patrols from breakdowns through the company’s Accredited Repairer scheme. Other benefits to subscribers include a garage management system, technical training, technical hotline, technician recruitment and support from a dedicated account manager. They will be further supported by a listing on the WhoCanFixMyCar.com website.